Have you ever tried to text with bulky winter gloves on? Most likely, the result was part abject frustration, part Saturday Night Live skit. 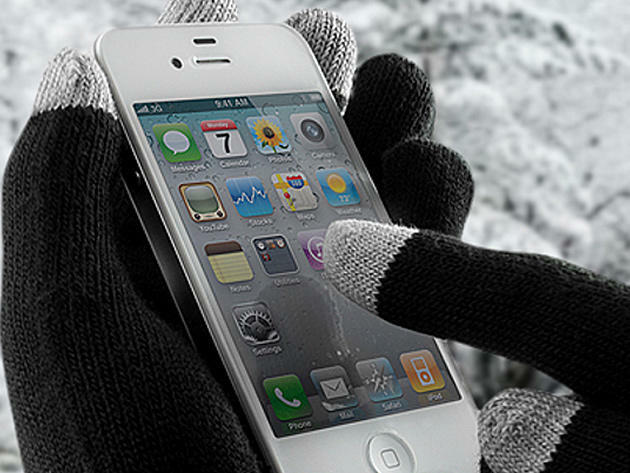 Allow winter and your smartphone to co-exist peacefully with the iGloves Touchscreen gloves, which are now only $11.99 (75% off) in the TechnoBuffalo Deals Store. With the iGloves' forward-thinking design, your fingers will still be able to glide quickly over your touchscreen. They'll offer enough pinpoint accuracy to keep your text exchanges speedy and error-free (or at least devoid of those embarrassing, nonsensical autocorrections). Meanwhile, the glove's non-slip palm makes sure you keep a firm grip on your device, avoiding any horrifying drops so common with those bigger, mitt-style gloves. But even with that superior fit and flexibility, the iGloves are gangbusters at doing the job gloves need to do — keeping your hands warm and dry. Win-win! Before you missing another day of this frosty winter without 'em, pick up the iGloves Touchscreen gloves now at 75% off their retail price, just $11.99.